Builders could do more to recycle the 120 million tonnes of waste they throw away each year in the UK, according to experts. 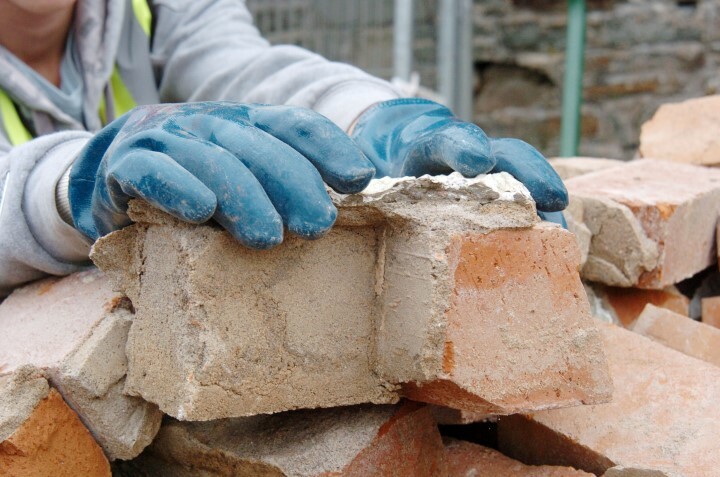 The building and construction industry is the UK’s largest user of natural resources, and is responsible for more than a third of the nation’s rubbish. Now a leading expert is urging the construction industry to clean up its act by doing much more to recycle waste and minimise landfill. The bulk of what they disregard could and should be recycled and reused, according to expert Harsha Rathnayake. Mr Rathnayake is the founder of JunkHunters, a UK waste management service that has been collecting commercial rubbish in London for over a decade and recently opened a second centre in Birmingham. The company works with many construction sector clients, visiting sites and collecting waste, 75 per cent of which is subsequently recycled. Yet Mr Rarthnayake says that the majority of construction sector companies fail to consider using a service such as his or taking other steps to recycle their waste. The amount of waste material generated by the sector is slowly falling, but Mr. Rathnakaye says by sorting through rubble, metal and wood and selling on any unused materials, builders could make a positive difference to the environment. Mr. Rathnayake said: “Businesses are slowly becoming more conscious of the waste materials they produce but this change isn’t happening quickly enough. In a sector like the building industry, where it is possible to recycle the bulk of materials, then there really should be no excuse. If materials can’t be reused, then we assess whether they can be recycled and we work closely with contractors across the UK to ensure materials reach the relevant processing and recycling centres. JunkHunters provides a fully accredited and reputable building waste disposal service that helps remove all building materials from construction sites as quickly and ethically as possible. All waste clearance teams adhere to strict green business credentials which guarantee the recycling of materials where possible. Since its beginnings in 2008, the company has seen the number of customers in the construction industry grow and its existing customers in the sector include Renlon Limited, Michael Brady, Refurb It all and PMP Construction. Next : How Long Have You Spent CLEANING a Customer’s House?